To put it mildly, the naysayers haven’t been accurate in their jabs toward Tim Tebow and his baseball career. The former NFL player has been playing at quite a high level this month as a minor league baseball outfielder for New York Mets affiliate Binghamton, the New York Post reported. The 30-year-old’s plate discipline, pitch recognition and opposite-field power have all seen major improvement, according to coaches on opposing teams. “He looks like a different guy than last year,” Double-A Hartford manager Warren Schaeffer told the Post. In addition, Tebow’s swing has gotten more fluid, free and easy, John Schneider, the manager of Double-A New Hampshire, told the Post. Tyler Bashlor, a reliever for the Mets who just got called up to the big leagues from Binghamton, said Tebow is a “great teammate” with “incredible work ethic,” often putting in extra time for his swing. “If you can play in this league, you can probably give yourself a chance to get up to the major leagues,” said LeCroy, who played in in Major League Baseball himself. 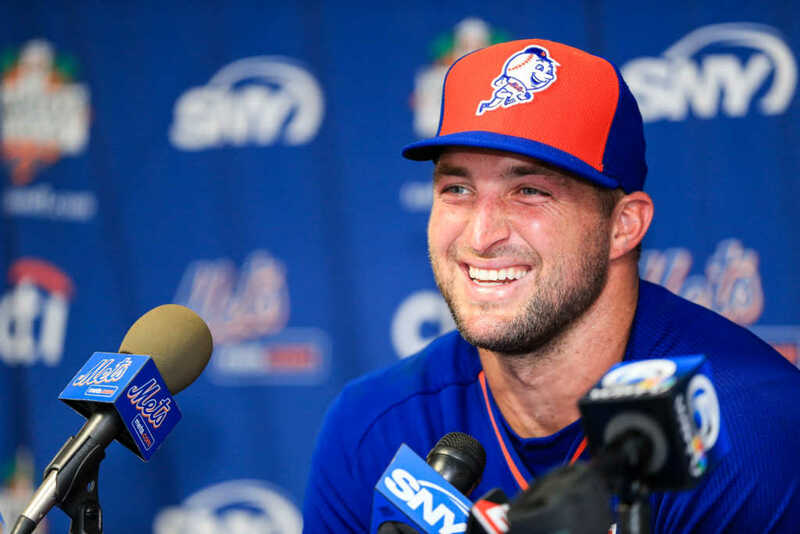 Tebow is proving to be a natural athlete after leaving his embattled NFL career for minor league baseball, where he is now thriving since signing with the Mets in 2016. To solidify his commitment even further, Tebow declined to return to the sport that made him a household name. Tebow reportedly declined an offer from fellow University of Florida football great Steve Spurrier to play for Orlando’s inaugural season in the Alliance of American Football, which Spurrier will coach, the Florida Times-Union reported. However, Spurrier made it clear that Tebow’s favorite jersey number is up for grabs should he change his mind.